The latest claimed sighting of the mysterious UFO in an image of the Sun snapped by NASA’s SOHO LASCO C3 camera was reported by the prolific UFO hunter Streetcap1 in a YouTube published on December 7, 2015 (see below). 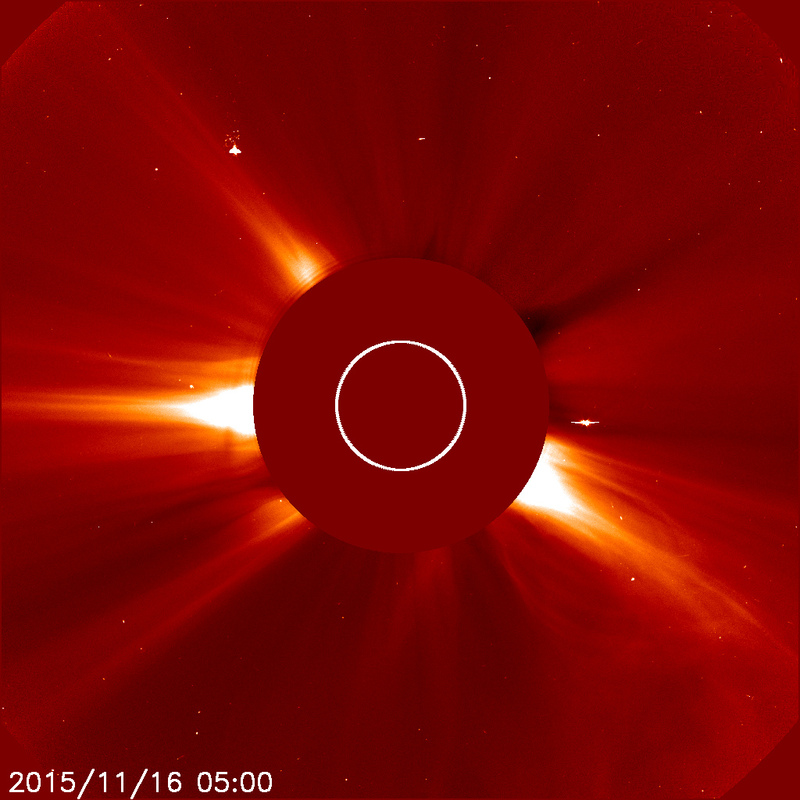 NASA’s SOHO LASCO C3 (“Large Angle and Spectrometric Coronagraph Experiment”) reportedly captured the image on November 16, 2015. The mystery of the identity and nature of the alleged UFO has divided the online UFO community since it was first spotted by eagle-eyed UFO hunters in NASA’s SOHO images a few years back. Some UFO bloggers believe that the anomaly is a massive alien spaceship while others with a more religious turn of mind suggest it could be a biblical apocalyptic portent in the sky. UFO Sightings Hotspot, for instance, quotes the well-known biblical passage (Luke 21:25) which predicts “strange signs in the sun, moon, and stars,” as a sign of the end times. However, UFO Sightings Daily’s Scott Waring notes correctly that the anomaly has been seen near the Sun several times in the past. The UFO blogger subscribes to the view that the recurring anomaly in NASA’s SOHO satcam images is evidence of an alien spaceship that makes frequent visits to our Sun possibly to harvest its energy. And he offers a suggestion about how to determine the orientation and trajectory of the UFO in space. The image below shows the alleged UFO with a cluster of white spot anomalies trailing it in the SOHO image. While Warring believes that the white spot anomalies are “smaller ships trailing behind” the “angelic” UFO, some UFOlogists believe the cluster of white spots represent the UFO’s engine exhaust trail. The winged anomaly reappears after it was spotted in August 2015 in an image of the Sun snapped by NASA’s SOHO LASCO C2 camera on July 31, 2015. The anomaly was reported at the time by the UFO hunter Myunhauzen74. The sighting caused considerable excitement in the online UFO community at the time. The YouTube below shows a previous sighting of the same UFO in March 2014, reported by waring, who noted at the time that it appeared to be blasting out of the solar atmosphere. Myunhauzen74 reported a second sighting of the same UFO on August 22, 2015.